Markel has a commitment to Success. We believe in hard work and a zealous pursuit of excellence while keeping a sense of humor. Our creed is honesty and fairness in all our dealings. The Markel way is to seek to be a market leader in each of our pursuits. We seek to know our customers' needs and to provide our customers with quality products and service. At Markel we hold the individual's right to self-determination in the highest light, providing an atmosphere in which people can reach their personal potential. Being results-oriented, we are willing to put aside individual concerns in the spirit of teamwork to achieve success. The Markel Style in action. Successful companies are by definition good corporate citizens. Markel's associates are generous with both their time and money, and the company is supportive of their efforts on behalf of more than one hundred local, regional, national, and international charities. Recent contributions have aided medical research, hunger relief agencies, schools, inner city youth, hospice organizations, veterans, the arts, and victims of natural disasters. Markel is proud of our colleagues who reflect the best of the Markel Style while improving the communities we serve. 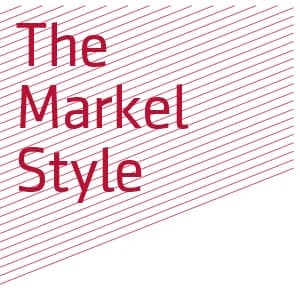 See The Markel Style in action on Facebook.